Who Will Benefit from Fracking? 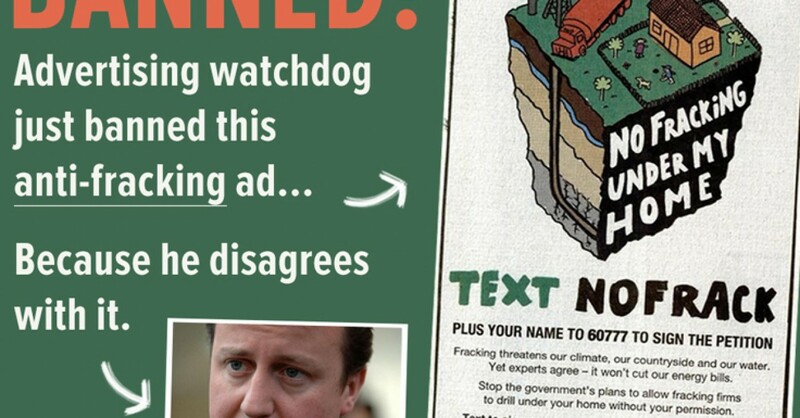 The ASA just banned this Greenpeace anti-fracking ad! The ASA asked for evidence to back up the claim — so we submitted statements from 22 experts and commentators including leading academics, the energy secretary Ed Davey, and even quotes from fracking firm Cuadrilla. This wasn’t enough for the ASA and they still said the ad was misleading. But the only evidence they could provide to back that up?… A quote from the prime minister. Oh and one other thing… the chair of the ASA, Lord Chris Smith, happens to be the head of the Task Force on Shale Gas (a group funded by the fracking industry).